Later today Mondo will drop there final round of Texas Frightmare 2017 posters, with Gary Pullin's Halloween II headlining the offering. 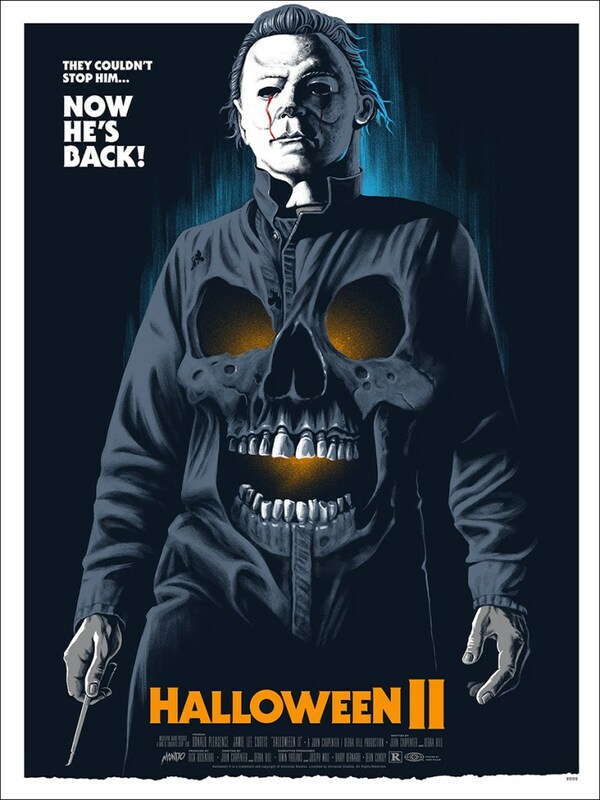 Mondo and other poster boutiques have given us their fair share of Halloween posters over the past decade, with John Carpenter's sequel often being forgotten. 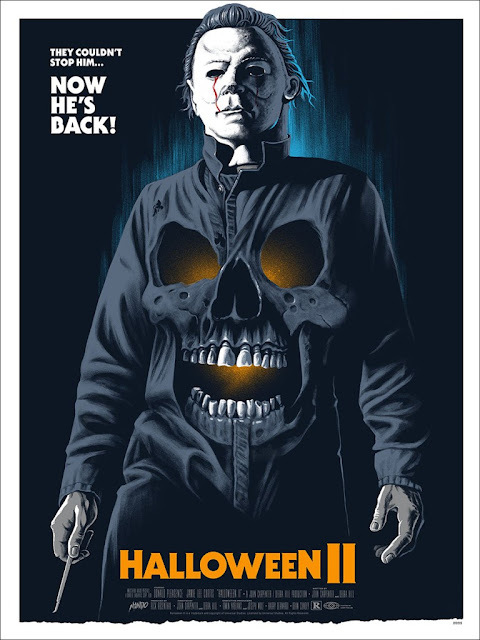 Finally we have the definitive Halloween II poster from artist: Gary Pullin, drawing its inspiration from the original skull themed theatrical poster. Mondo will drop this poster at random time later today, so if you want one at face value begin refreshing mondotees.com now!